Would you make a good accountant or auditor? Take our career test to find out how you match with this and over 800 other careers. 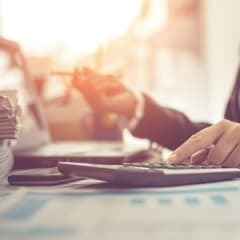 While both an accountant and an auditor are responsible for the accounting processes of a company, there are some differences between the two professions. An auditor is responsible for reviewing the work of the accountant on a quarterly or annual basis, and is often hired from an outside firm to do so. An accountant, on the other hand, is usually an employee of the company for which they work, and the work done by an accountant is done on a daily basis. 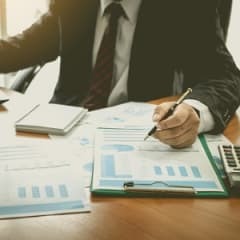 An accountant will create the financial statements for the company, and the auditor will look the financial statements over to make sure they are accurate. An auditor is someone who prepares and examines financial records.